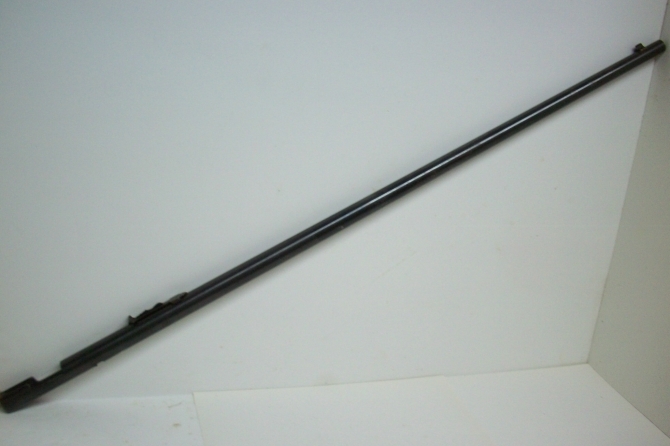 This Winchester manufactured 28" plain barrel with a fixed modified choke is for the model 140 semi-.. This Winchester manufactured 22" long deer slug barrel with rifle sights and a smooth bore is for th.. This Smith & Wesson manufactured 22" long barrel with rifle sights and a 3" chamber is for the m.. 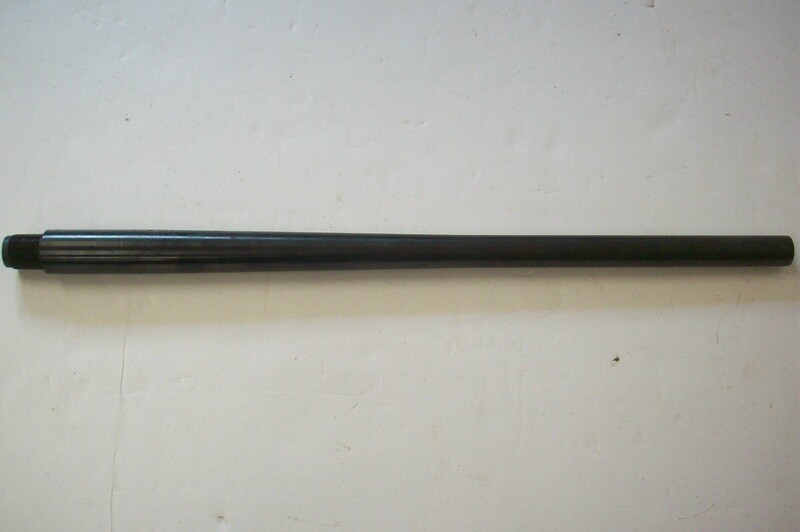 This Remington manufactured 22" long deer barrel is for the model 1100 semi-auto shotgun in 12 gauge.. This Winchester manufactured 24" plain barrel with an improved cylinder Winchoke choke tube and a br.. This Winchester manufactured 26" plain barrel with a fixed Cylinder choke is for the model 1911 self.. This Winchester manufactured 26" plain barrel with a fixed Full choke is for the model 1911 self loa.. 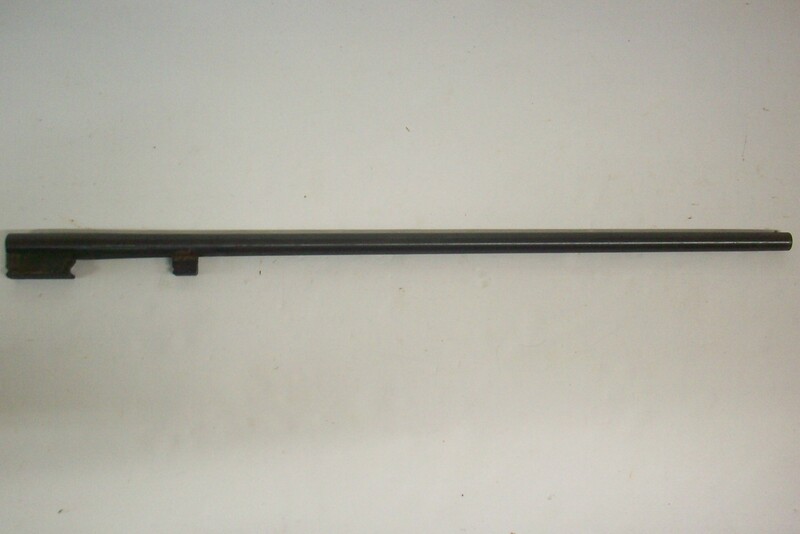 This Remington manufactured late variation 26" plain barrel with a factory improved cylinder choke i.. 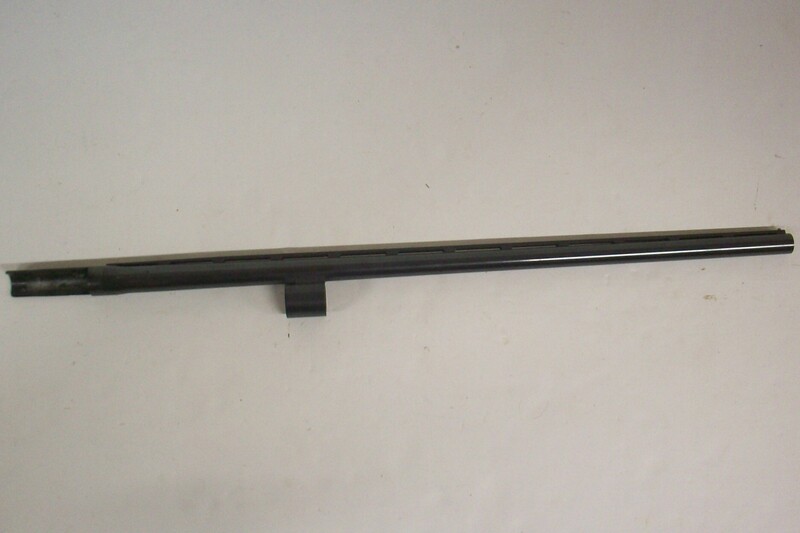 This Winchester manufactured 26" plain barrel with a fixed Modified choke is for the model 1911 self.. 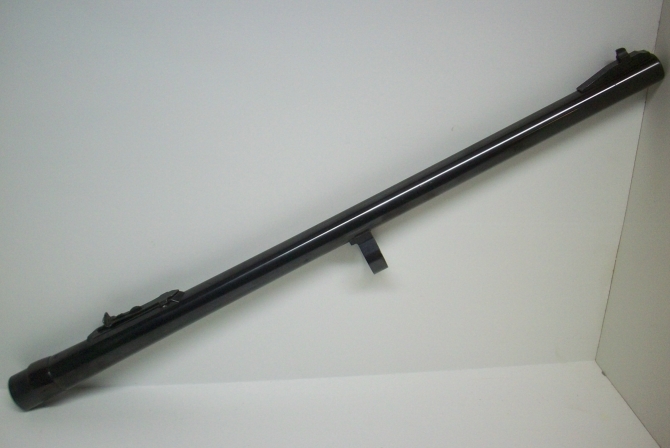 This Winchester manufactured 26" vent rib barrel with a fixed Improved Cylinder choke and a bright, .. This Winchester manufactured 28" plain barrel with a fixed Full choke is for the model 1911 self loa.. 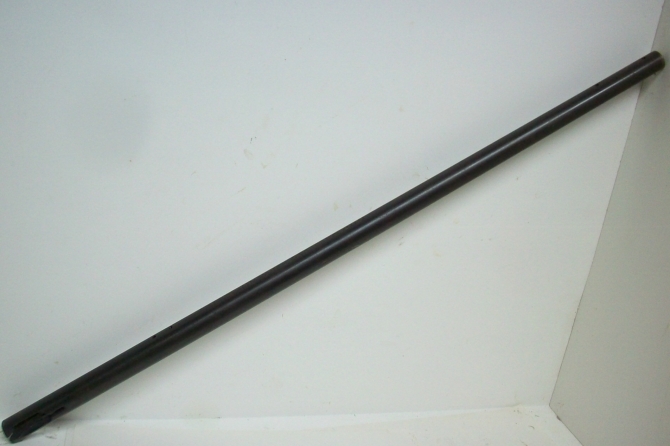 This Remington manufactured late variation 28" plain barrel with a factory modified choke is for the.. 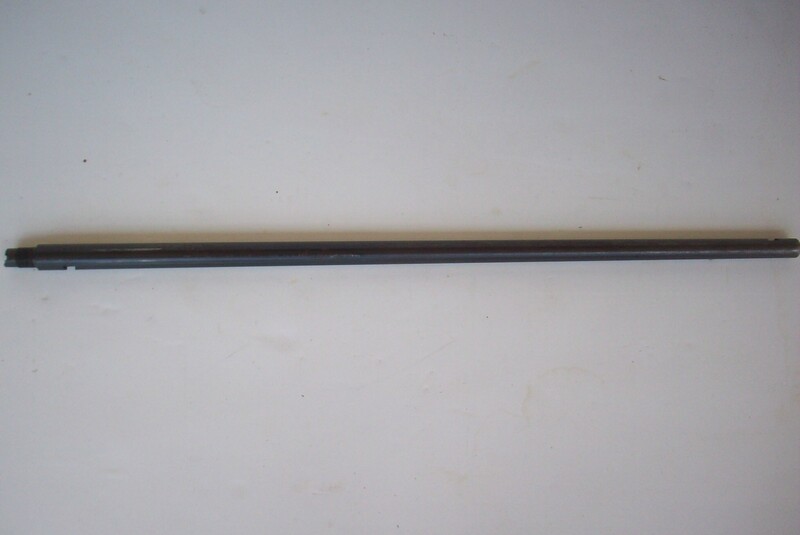 This Remington manufactured 28" vent rib target barrel is for the model 11-87 semi-auto shotgun usin.. This Winchester manufactured 28" vent rib barrel with a Full Winchoke choke tube and a bright, excel.. This Remington manufactured 28" long vent rib barrel with a fixed modified choke and a 2 3/4" chambe.. 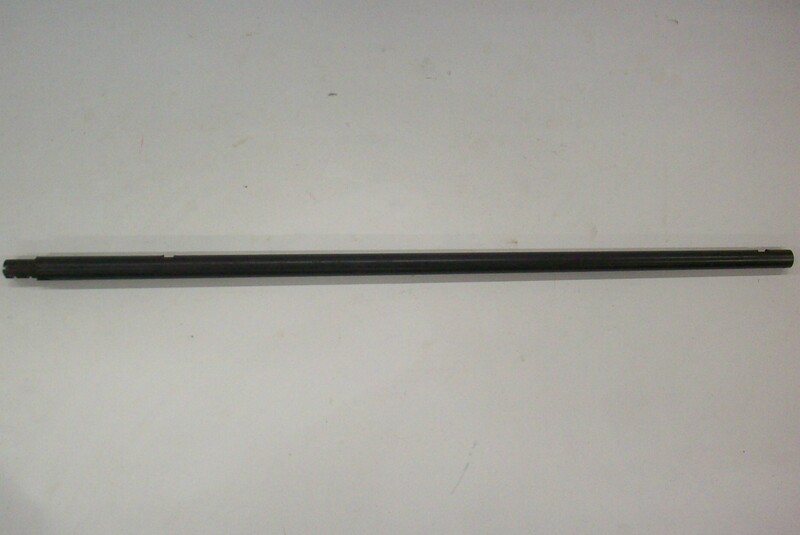 This Remington manufactured late variation 30" plain barrel with a factory full choke is for the mod.. This Remington manufactured late variation 30" plain barrel with a factory full choke is for the Spo.. This Marlin manufactured blue finished 16 1/4" long barrel is for the model 70P (Papoose) semi-auto .. This Winchester manufactured 28" plain barrel with a fixed modified choke and a bright, very good bo.. This Remington manufactured late variation 28" plain barrel with a factory full choke is for the mod.. This Mossberg manufactured 18 1/2" long barrel is for the model 142-A bolt action rimfire rifle and .. This Marlin manufactured 18" long barrel in 22 LR caliber is for the Glenfield model 75 semi-auto ri.. This Mossberg manufactured 18" long barrel is for the model 702 Plinkster semi-auto rimfire rifle an.. This Remington manufactured 19 5/8" long barrel in 22 Short, Long, or Long Rifle caliber is for the .. This Winchester manufactured 20 3/4" long first variation barrel is for the model 270 slide action r.. This Remington manufactured first variation 24" long barrel with the early barrel markings is for th.. This Winchester manufactured 22" long deer slug barrel with rifle sights and a bright, excellent smo.. 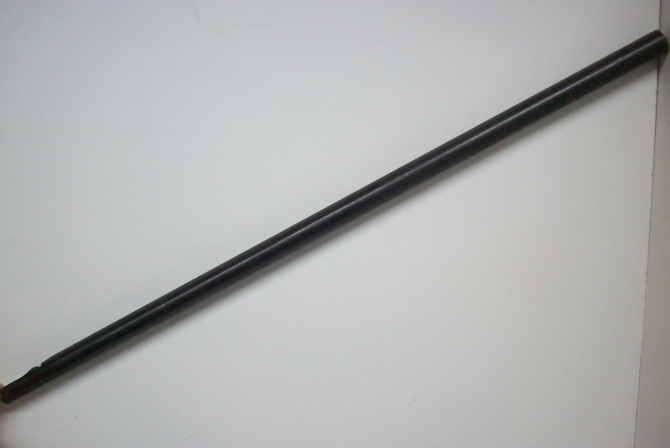 This Winchester manufactured 22" long vent rib barrel with a Full Winchoke choke tube and a bright, .. 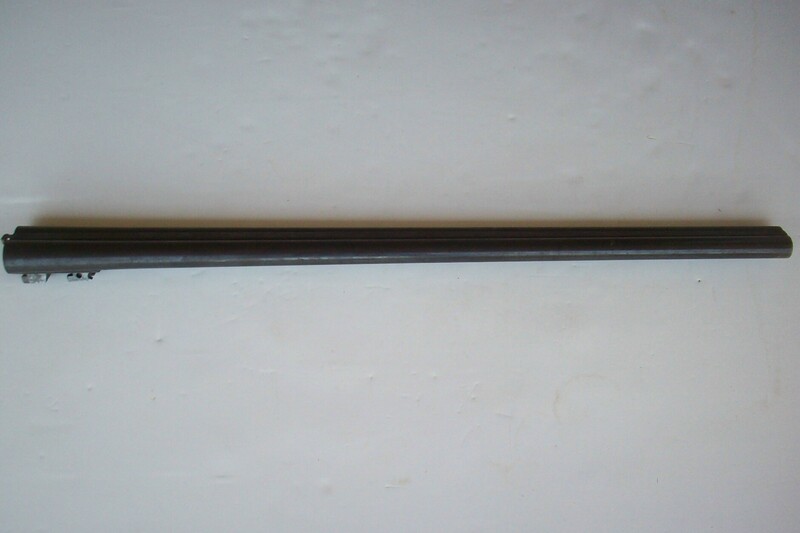 This Winchester manufactured 28" long vent rib barrel with a "Mod" marked Win-choke choke tube and a.. This Remington manufactured 20" long barrel is for the model 522 Viper semi-auto rimfire rifle and i.. This Marlin manufactured 18" long barrel is for the model 989 M2 semi-auto rimfire rifle and is in v.. This Marlin manufactured 18" long barrel is for the model 99 M1 semi-auto rimfire rifle and is in ve.. 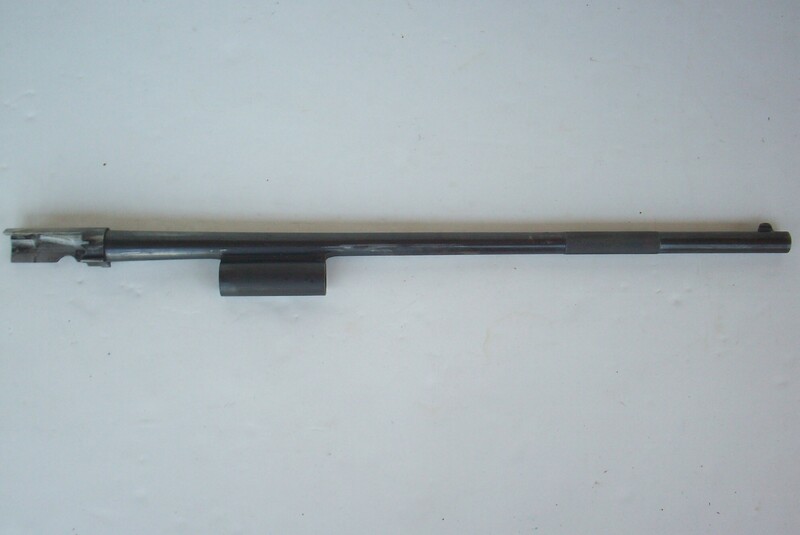 This Winchester manufactured 20" long round barrel is for the model 1906 slide action rimfire rifle .. This Winchester manufactured 23" long round barrel is for the model 62 slide action rimfire rifle in.. This Marlin manufactured 22" barrel is for the model 782 bolt action rimfire rifle in 22 WMR (Magnum.. This Marlin manufactured 22" long barrel in 22 LR caliber is for the early variation Glenfield model.. This Marlin manufactured 22" long barrel in 22 LR caliber is for the late variation Glenfield model .. 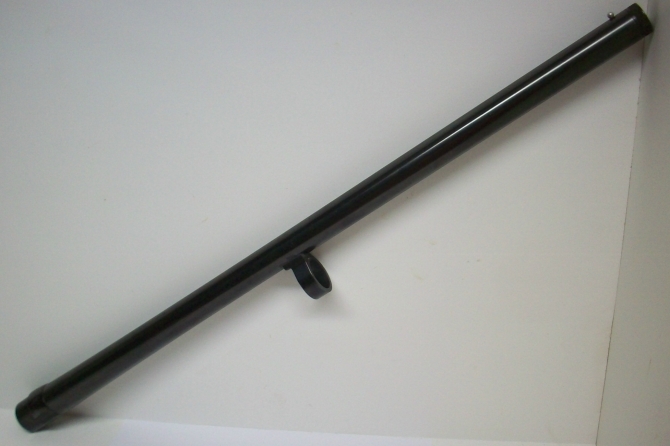 This Marlin manufactured 22" long third variation barrel in 22 S,L,& LR caliber is for the Glenf.. 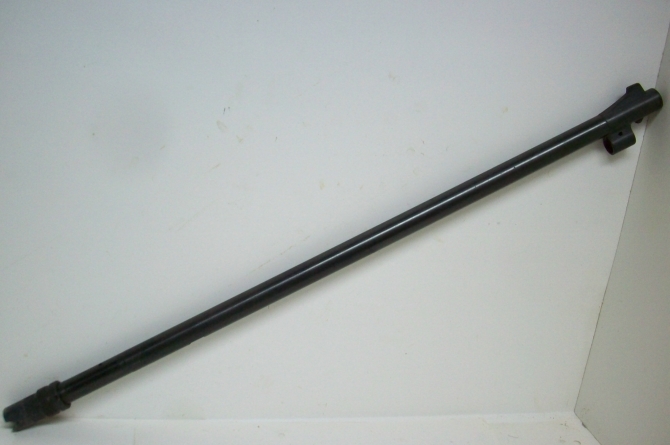 This Marlin manufactured 22" long barrel is for the model 101 bolt action rimfire rifle and is in ve.. This Marlin manufactured 22" long barrel in 22 S,L,& LR caliber is for the model 25 bolt action .. This Winchester manufactured early variation 22" long barrel in 22LR caliber is for the model 77 sem.. 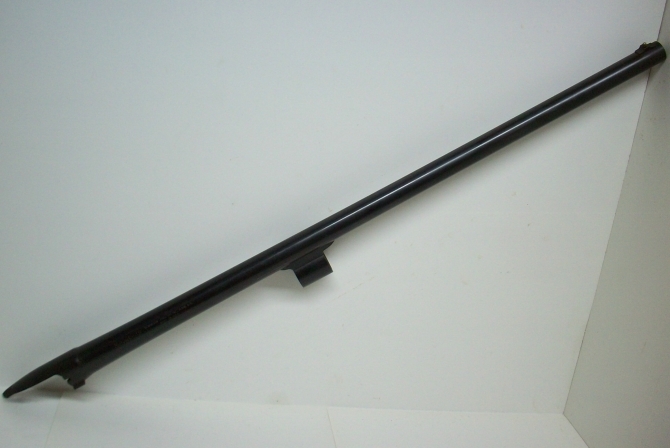 This Winchester manufactured late variation 22" long barrel in 22 LR caliber is for the model 77 sem.. This Marlin manufactured 22" long barrel is for the model 781 bolt action rimfire rifle and is in ve.. This Marlin manufactured 22" long barrel is for the Glenfield model 100G bolt action rimfire rifle a.. This Marlin manufactured 22" long barrel is for the model 881 bolt action rimfire rifle and is in ve.. This Remington manufactured 19 1/2" long barrel is for the Nylon 76 lever action rimfire rifle and h.. 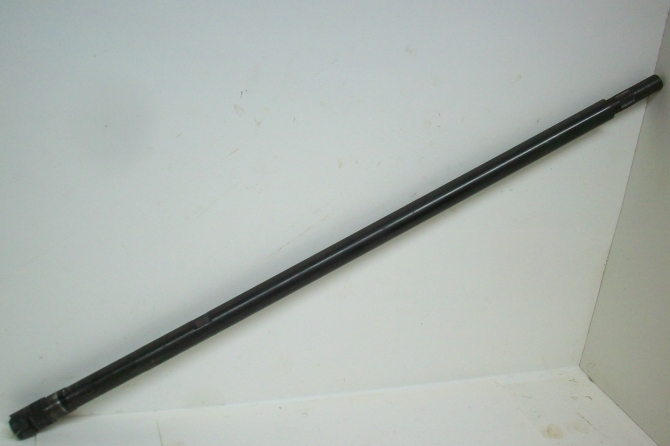 This Marlin manufactured 22" long late variation barrel is for the Glenfield model 20 bolt action ri.. This Marlin manufactured 22" long barrel is for the model 80 bolt action rimfire rifle in 22 Short, .. This Mossberg manufactured 23" long barrel in 22 S, L, & LR caliber is for the model 42M(c) bolt.. This Mossberg manufactured 24" early variation barrel is for the early variation model 42B bolt acti.. This Mossberg manufactured 24" barrel in 22 S, L, & LR caliber is for the model 42B bolt action .. This Marlin manufactured 24" long barrel is for the model 81DL bolt action rimfire rifle in 22 short.. This Mossberg manufactured 24" long 22LR barrel is for the model 42A bolt action rimfire rifle and i.. This Mossberg manufactured 23" long barrel is for the model 183D-A bolt action shotgun and is in ver.. 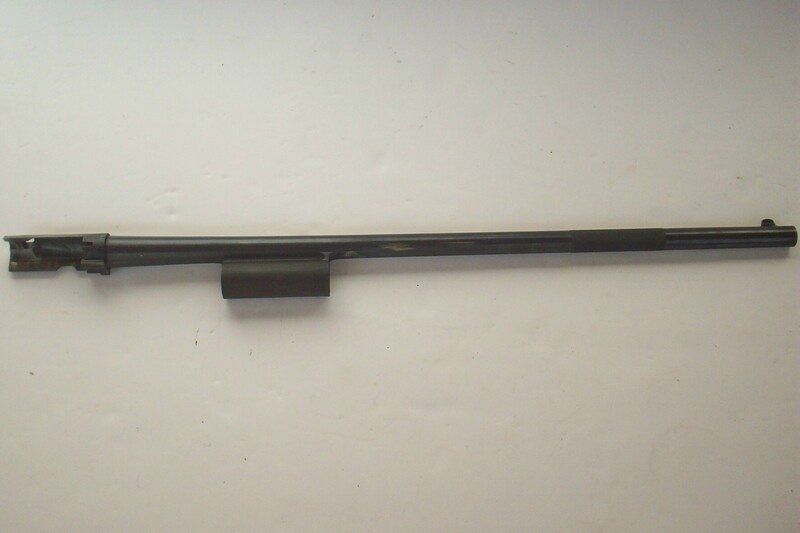 This Winchester manufactured 24" long barrel is for the model 74 semi-auto rimfire rifle in 22 LR ca.. 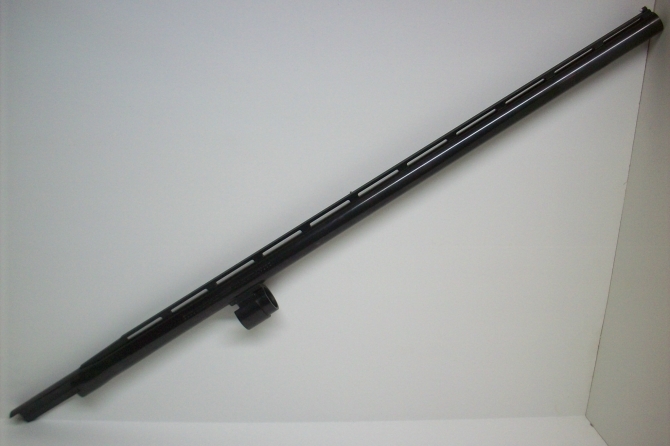 This modern aftermarket manufactured 24" long octagon barrel is for the model 1890 slide action rimf.. 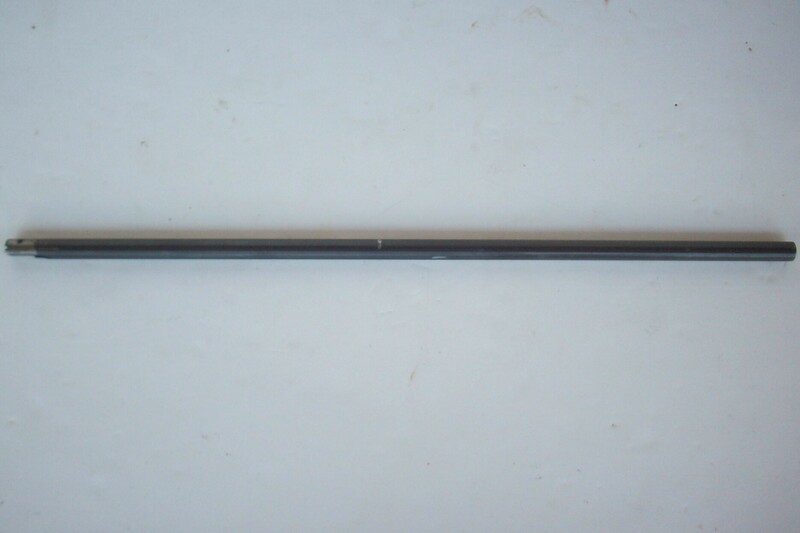 This Remington manufactured 24" long round barrel is for the model 121 slide action rimfire rifle in.. This Savage manufactured 24" long octagon barrel is for the model 1903 slide action rimfire rifle an.. 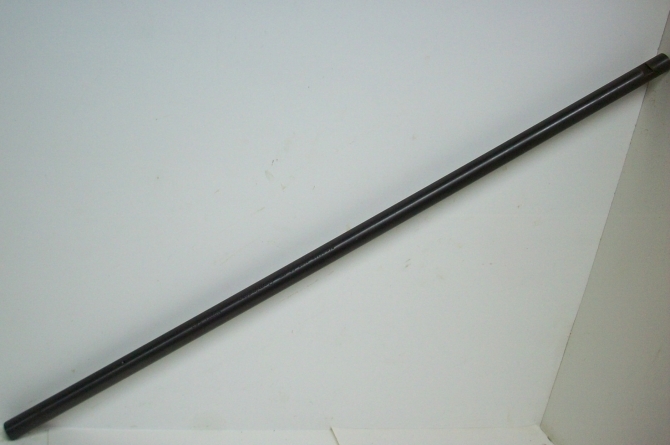 This Remington manufactured 24" long barrel is for the model 591 M bolt action rimfire rifle and is .. This Remington manufactured 24" long barrel in 22 Short, Long, or Long Rifle caliber is for the Nylo.. This Remington manufactured 24" long barrel is for the model 580 bolt action rimfire rifle in 22 Sho.. This Remington manufactured 24" long barrel is for the model 581 bolt action rimfire rifle in 22 Sho.. 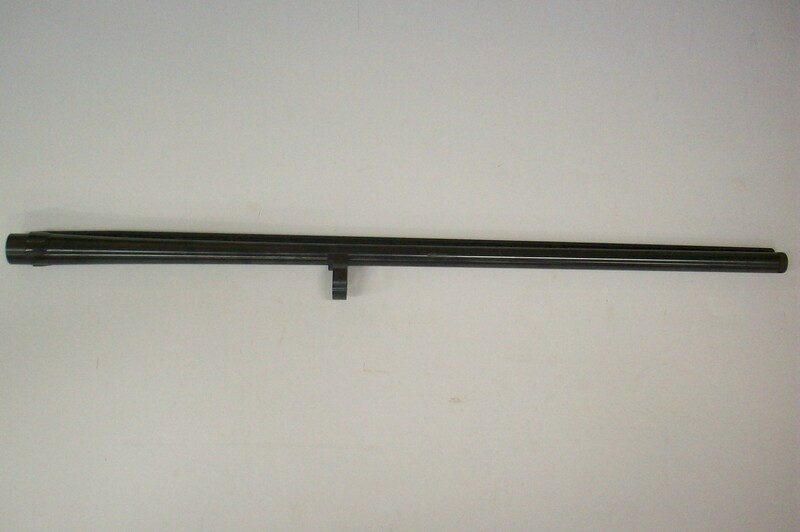 This Remington manufactured 24" long barrel is for the model 581-S bolt action rimfire rifle in 22 S.. This Remington manufactured 24" long barrel in 22 Short, Long, & Long Rifle caliber is for the m.. This Remington manufactured 24" long barrel in 22 S, L, & LR caliber is for the Improved model 6.. This Remington manufactured 24" long barrel is for the model 582 bolt action rimfire rifle and is in.. This Remington manufactured 24" long barrel is for the model 592M bolt action rimfire rifle and is i.. This Remington manufactured 25" long early variation A grade barrel in 22 Short, Long, & Long Ri.. 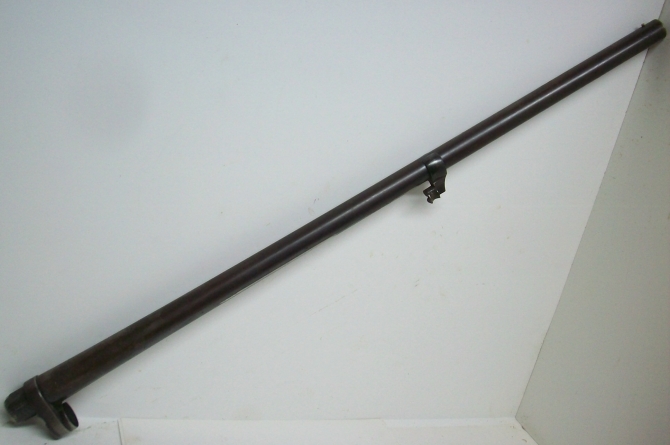 This Remington manufactured 25" long early variation barrel in 22 Short, Long, & Long Rifle cali.. This Remington manufactured early variation 25" long barrel in 22 Short, Long, or Long Rifle caliber.. 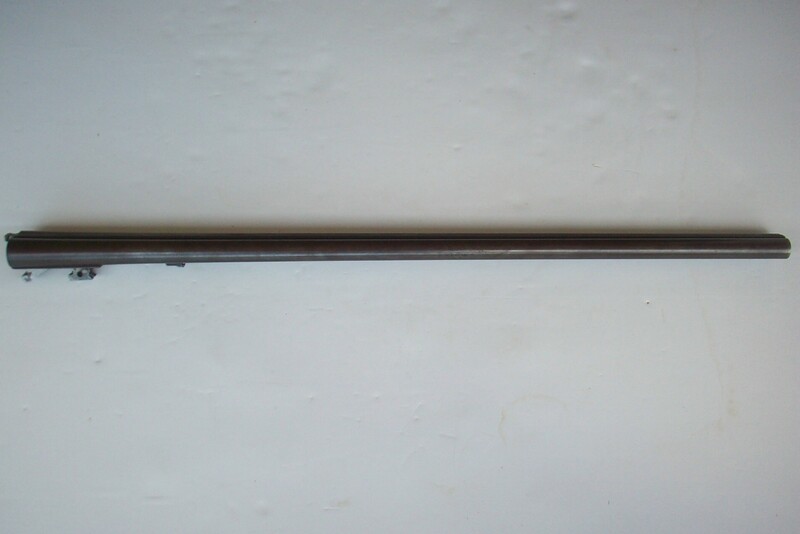 This Remington manufactured 25" long late variation A grade barrel in 22 Short, Long, & Long Rif.. This Remington manufactured 25" long barrel is for the model 512 Sportmaster bolt action rimfire rif.. 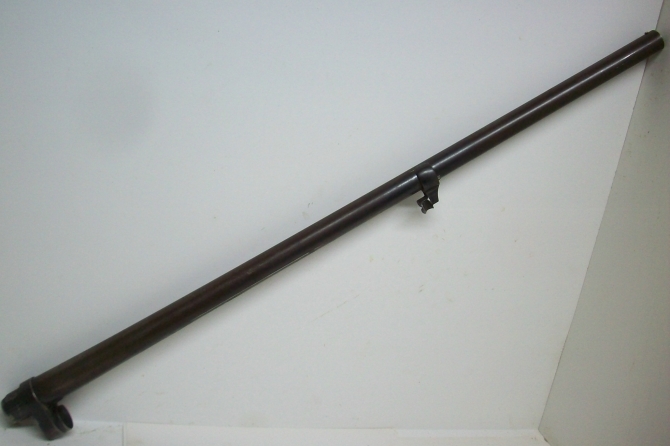 This Remington manufactured early variation 25" long barrel in 22 caliber smoothbore is for the mode.. This Winchester manufactured 25" long barrel is for the model 69A bolt action rimfire rifle and is i.. This Winchester manufactured 25" long barrel is for the model 72 bolt action rimfire rifle and is in.. 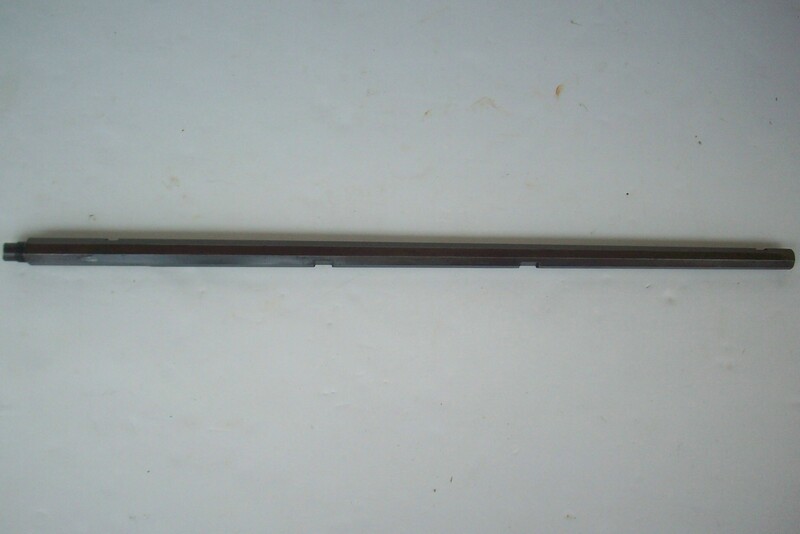 This Winchester manufactured 25" long barrel is for the model 69A bolt action rimfire target rifle a.. This Winchester manufactured 25" long barrel is for the model 72 bolt action rimfire target rifle as.. This Mossberg manufactured 26" long barrel is for the model 146B bolt action rimfire rifle and is in.. This Mossberg manufactured 26" long barrel is for the model 46B(a) bolt action rimfire rifle and is .. This Remington manufactured 27 3/4" (shortened) plain barrel with an open choke and a bright, near e.. 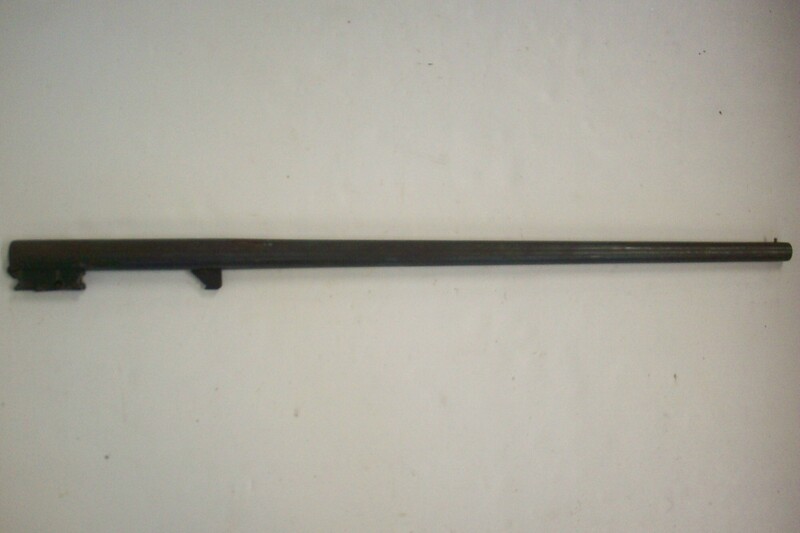 This Remington late manufactured 22" long barrel with recessed muzzle is for the model 700 BDL bolt .. This Remington manufactured 28" plain barrel with a fixed full choke and a bright, near excellent bo.. 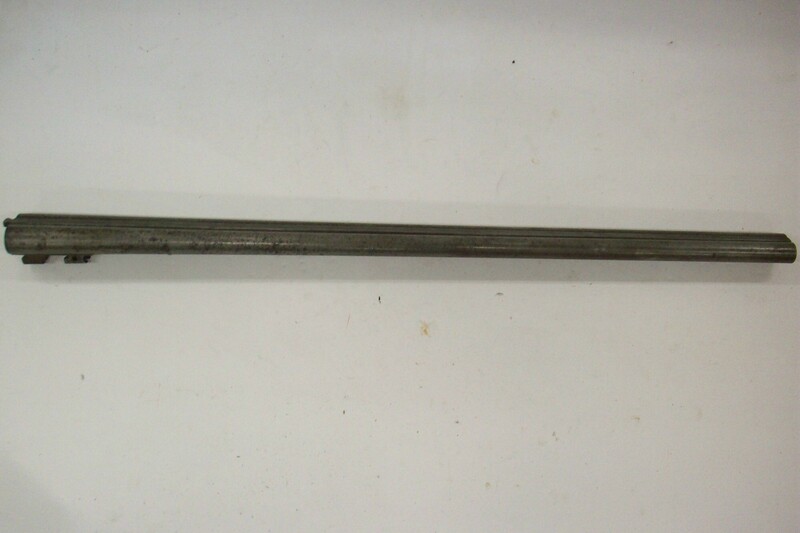 This Winchester manufactured 26" nickel steel octagon barrel in 30 W.C.F. caliber is designed for th.. This Remington manufactured 30" plain barrel with a fixed full choke and a bright, near excellent bo.. 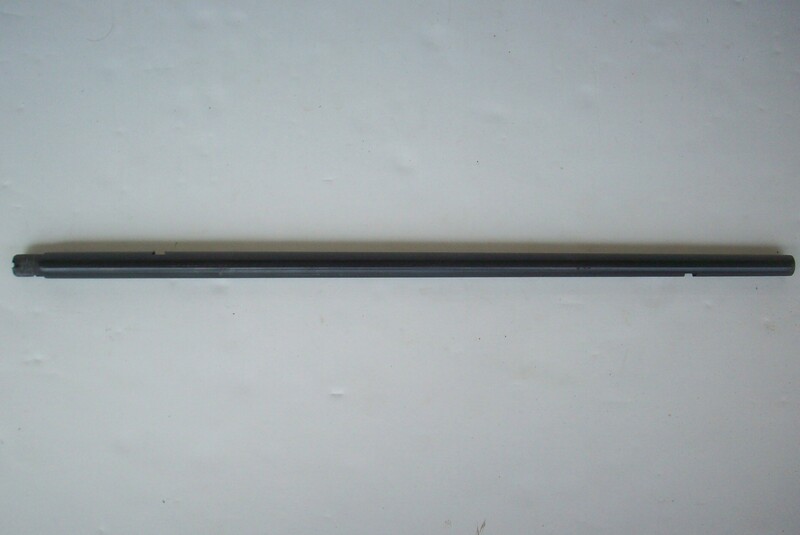 This Remington manufactured 22" long barrel is for the model 700 BDL bolt action rifle in 30-06 Sprg.. This Thompson Center manufactured 23" long rifle barrel is in 30-06 Sprg. caliber and is for the TCR.. This Marlin manufactured 20 1/4" long round barrel is for the model 336CS lever action carbine in 30.. 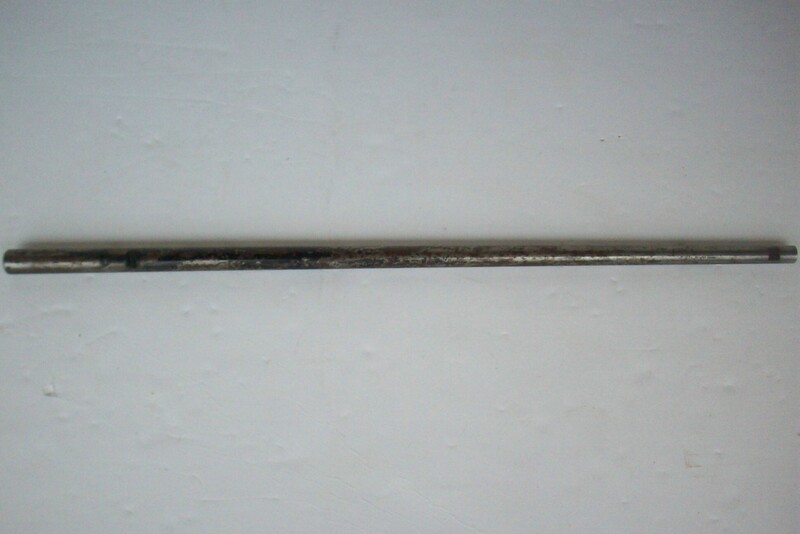 This early Remington manufactured 24" long stainless steel barrel is for the model 700 BDL bolt acti.. 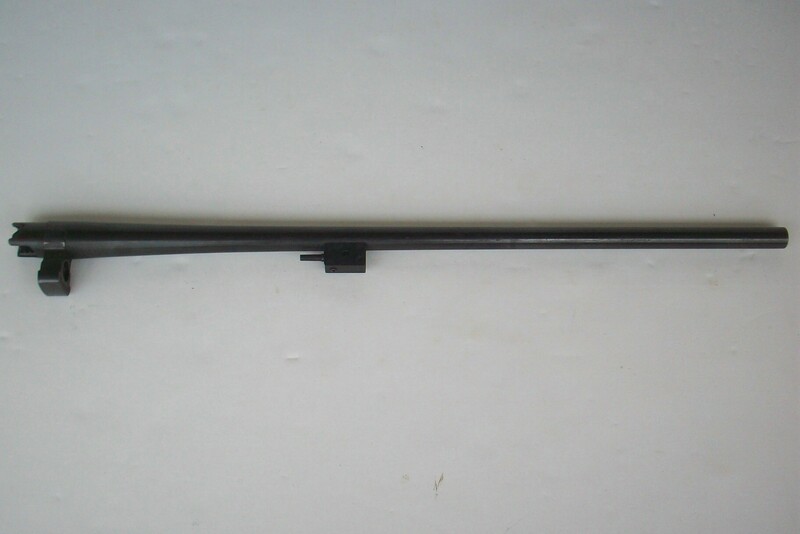 This Remington manufactured 22" long barrel is for the model 788 right hand bolt action rifle in 308.. This Marlin manufactured 28" long rapid tapered octagon barrel is for the old model 1894 lever actio.. This Thompson Center manufactured 12" Barrel (17" overall) in 50 caliber is for the Scout in-line mu.. This Marlin manufactured 16 1/2" long barrel is for the model 9 semi-auto Camp carbine in 9mm and is.. 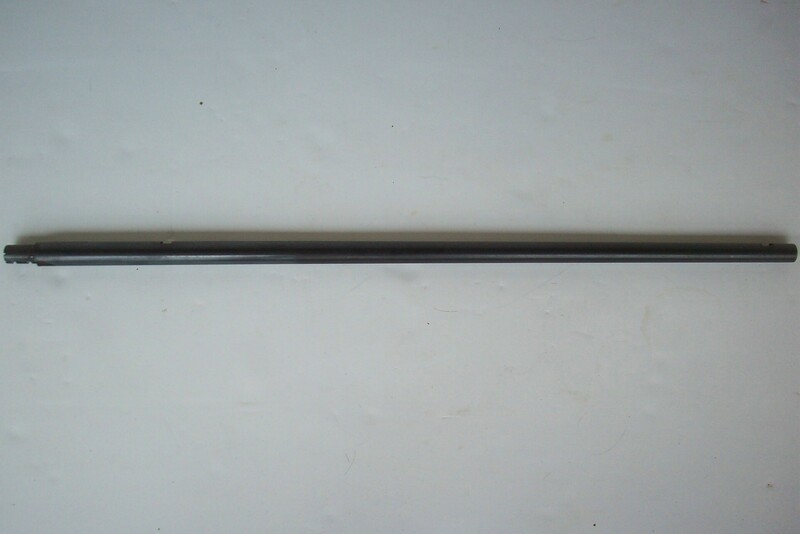 This Remington manufactured 21" long (23" long overall) barrel is for the model 552 Speedmaster semi.. 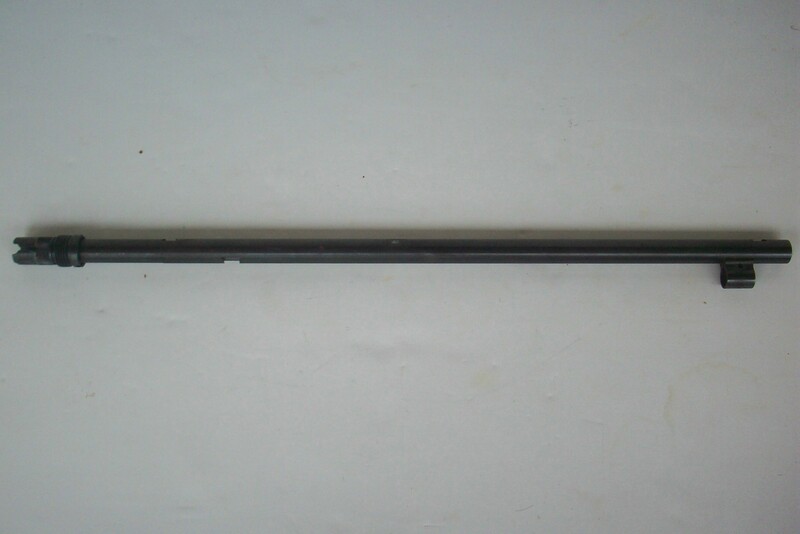 This Remington manufactured 23" long (25" long overall) barrel is for the model 572 Fieldmaster slid.. 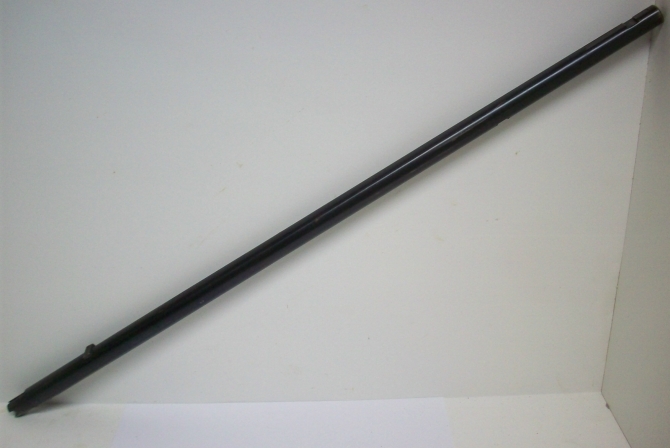 This Remington manufactured 19 1/2" long blue finished barrel is for the Nylon 66 semi-auto rimfire .. This Remington manufactured 19 1/2" long chrome finished barrel is for the Apache Black/Chrome Nylon.. 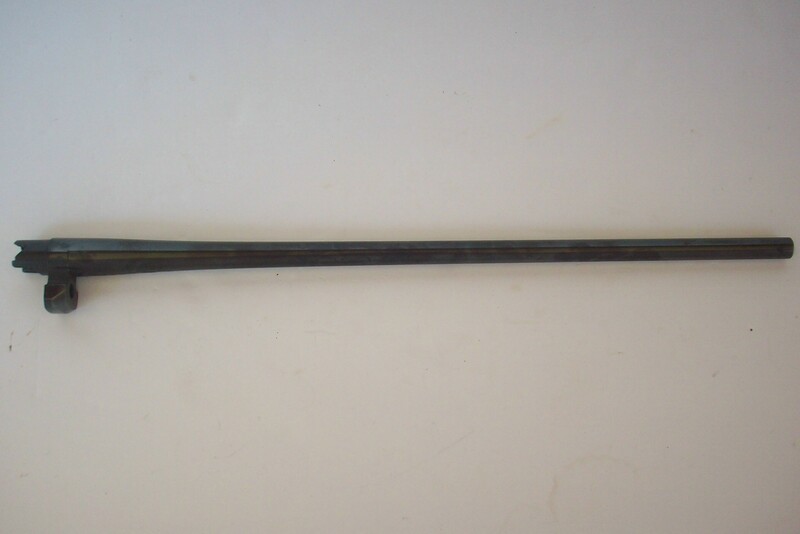 This Marlin manufactured early variation 22" long barrel is for the 1960's manufactured Glenfield mo.. This Remington manufactured intermediate variation 24" long barrel is for the intermediate mode.. 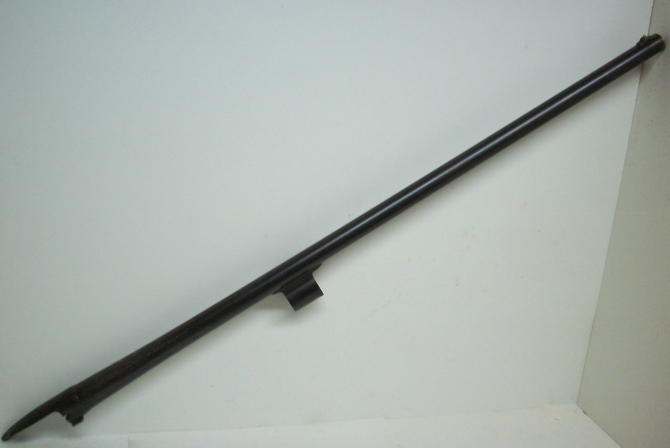 This Winchester manufactured late variation 22" long barrel in 22LR caliber is for the model 77 semi.. This Remington manufactured late variation 24" long barrel is for the late model 514 bolt actio.. This Remington manufactured 24" long octagon barrel is for the model 12-C slide action rimfire rifle.. This CBC manufactured 19 1/2" long blue finished barrel is for the Nylon 66 semi-auto rimfire rifle .. 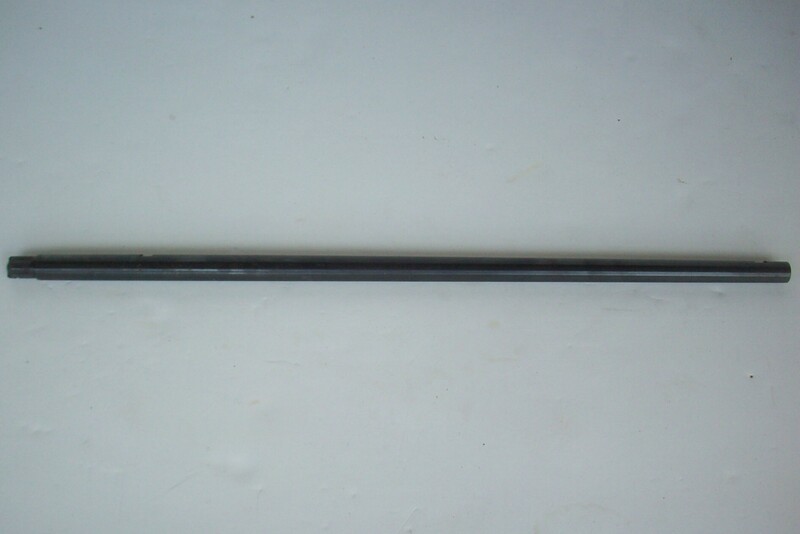 This Remington manufactured 22" long round barrel is for the model 12 slide action rimfire rifle in .. 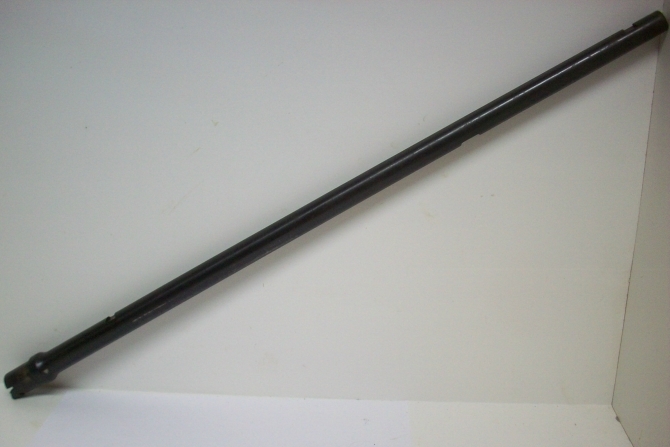 This Smith & Wesson manufactured 28" long plain barrel assembly with a fixed modified choke is f.. This Winchester manufactured 30" long barrel in 12 gauge with a 2 3/4" chamber, fixed factory full c.. This Remington manufactured 30" vent rib barrel with a fixed full choke and a bright, near excellent.. 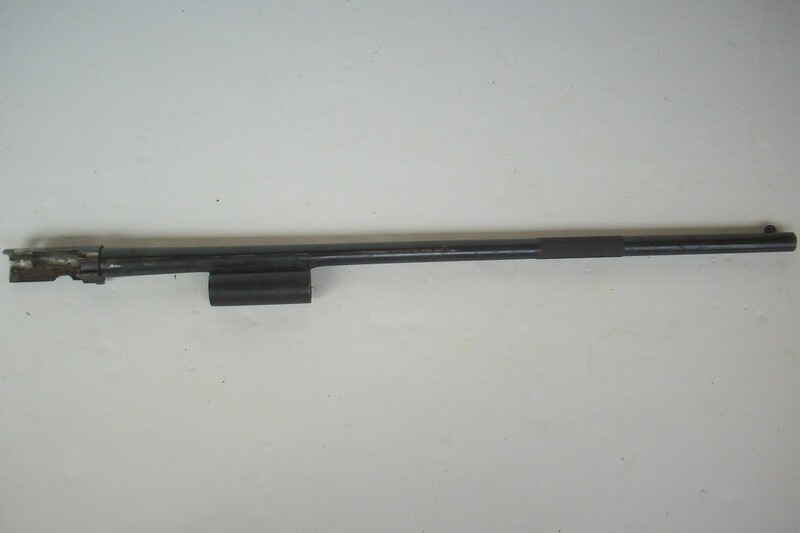 This Winchester manufactured 32" long barrel in 12 gauge with a 2 3/4" chamber, fixed factory full c.. This Winchester manufactured 28" long barrel in 16 gauge with a 2 3/4" chamber, fixed factory full c.. This Remington manufactured 22" long first variation barrel assembly is for the model 742 Woodsmaste.. This Remington manufactured 22" long first variation barrel assembly is for the model 740 Woodsmaste.. 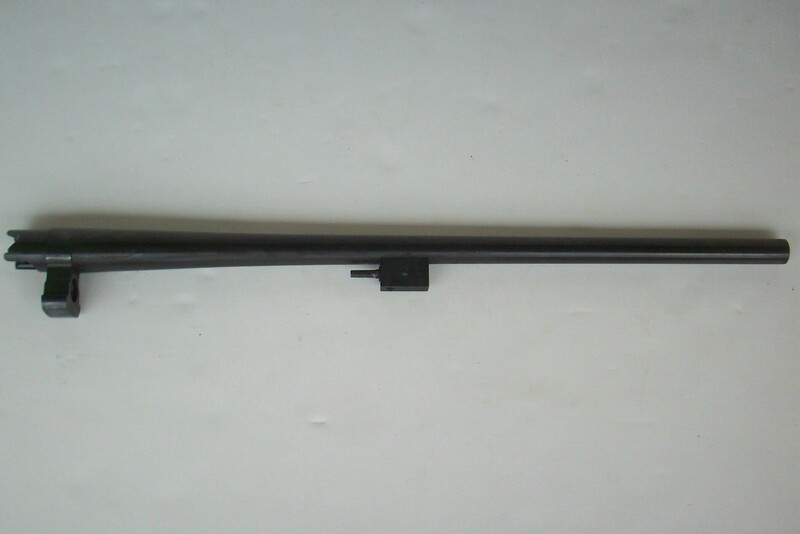 This Winchester manufactured 20 3/4" long first variation barrel assembly is for the early model 290.. This Winchester manufactured 28" long barrel in 20 gauge with a 2 3/4" & 3" chamber, fixed facto.. This Remington manufactured 28" plain barrel with a fixed modified choke and a bright, very good bor.. This Winchester manufactured 30" long barrel in 20 gauge with a 2 3/4" chamber, fixed factory full c.. This Ruger manufactured late variation blue finished 18 1/2" long barrel assembly with brass bead fr.. 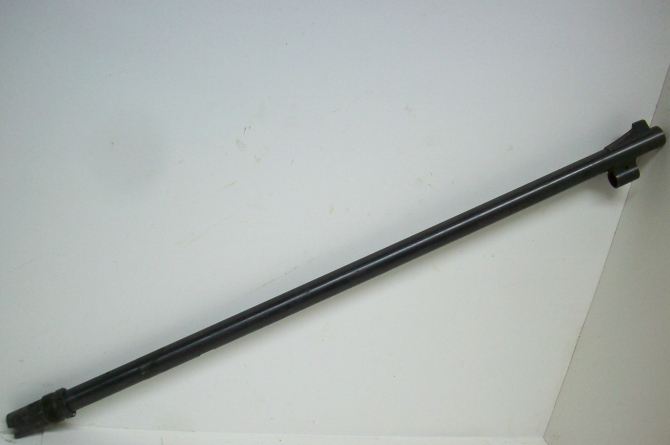 This Remington manufactured 20" long blue finished barrel assembly is for the model 597 semi-auto ri.. This Remington manufactured blue finished 22" barrel assembly is in 270 Win caliber and is for the m.. This Remington manufactured 18 1/2" long second variation barrel assembly is for the model 742 Woods.. 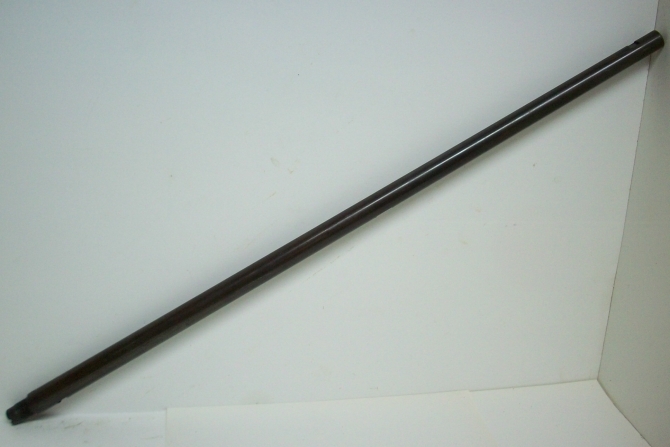 This Remington manufactured 22" long second variation barrel assembly is for the model 742 Woodsmast.. 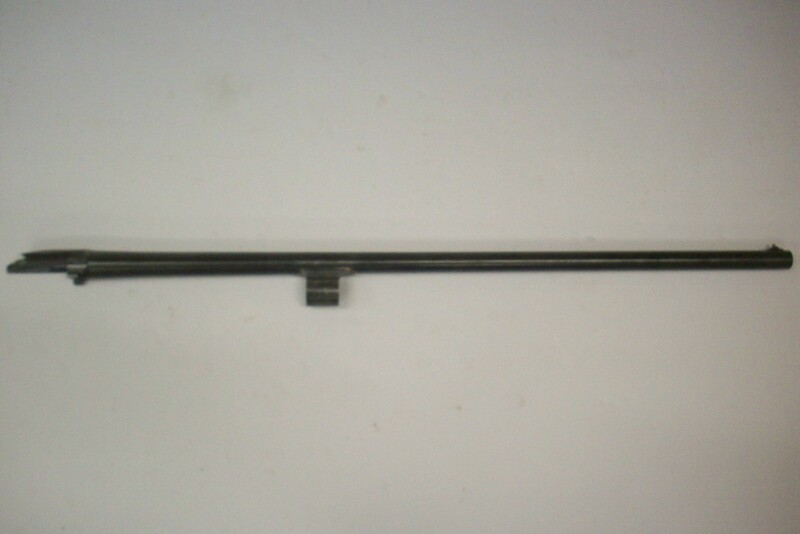 This Winchester manufactured 20 3/4" second variation barrel assembly is for the model 250 lever act.. 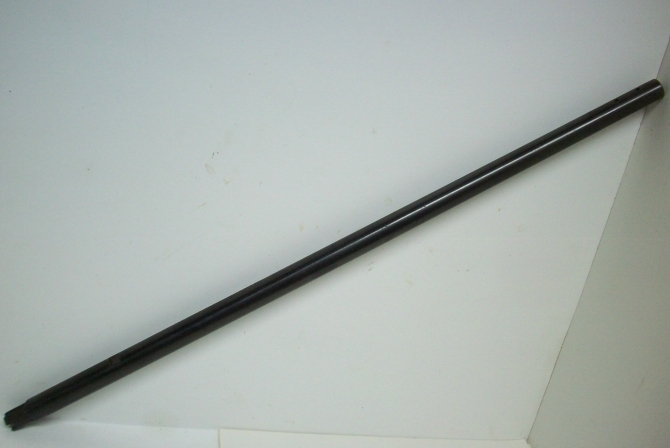 This Remington manufactured blue finished 22" barrel assembly is in 30-06 caliber and is for the mod.. This Savage manufactured 26" long barrel assembly in 30-30 caliber with the original sights and extr.. 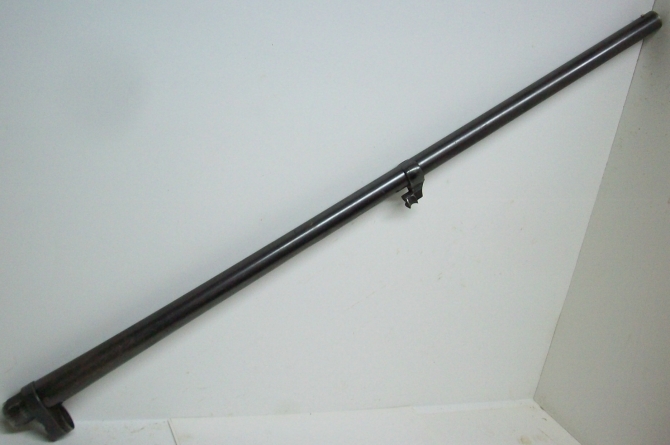 This Winchester manufactured 26" long barrel in 410 bore with a 3" chamber, fixed factory full choke.. This Winchester manufactured 28" long barrel in 410 bore with a 3" chamber, fixed factory full choke.. This Winchester manufactured 20 3/4" long fourth variation barrel assembly is for the late model 290.. This Winchester manufactured early variation 22" long barrel without hold open button is for the mod.. This Remington manufactured 22" long third variation barrel assembly is for the model 760 Gamemaster.. This Remington manufactured 22" long second variation barrel assembly with integral front sight ramp.. 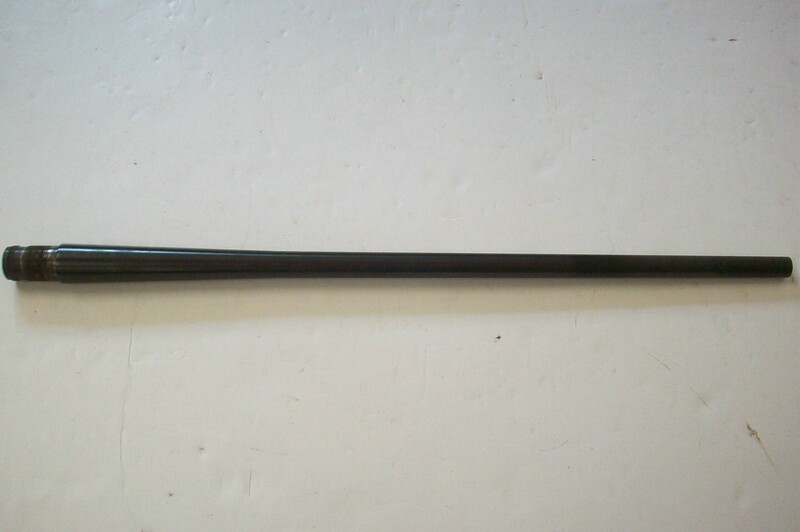 This Remington manufactured 22" long third variation barrel assembly is for the later model 760 Game.. This Remington manufactured first variation 22" long barrel assembly is for the early model 760 Game.. This Remington manufactured third variation 22" long barrel assembly is for the model 760 Gamemaster.. 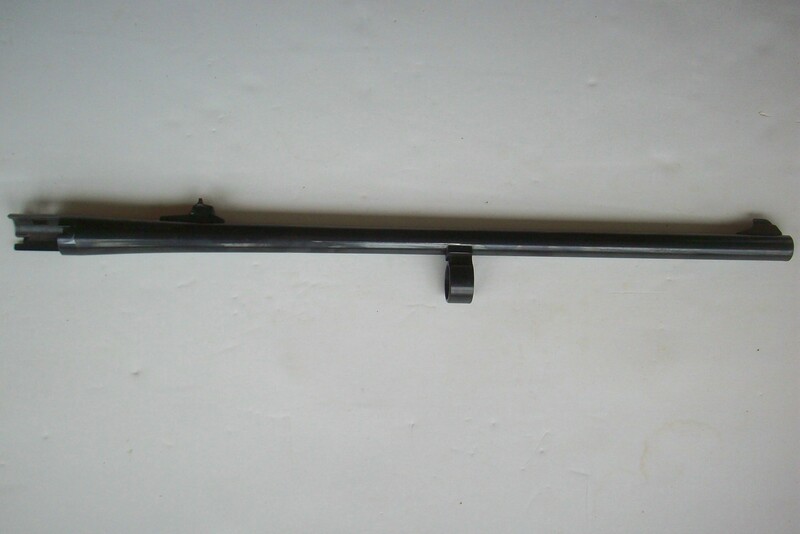 This Winchester manufactured 20 3/4" long barrel with collar is for the model 150 lever action rimfi.. This Winchester manufactured 20 3/4" long barrel with barrel collar is for the model 190 semi-auto r.. 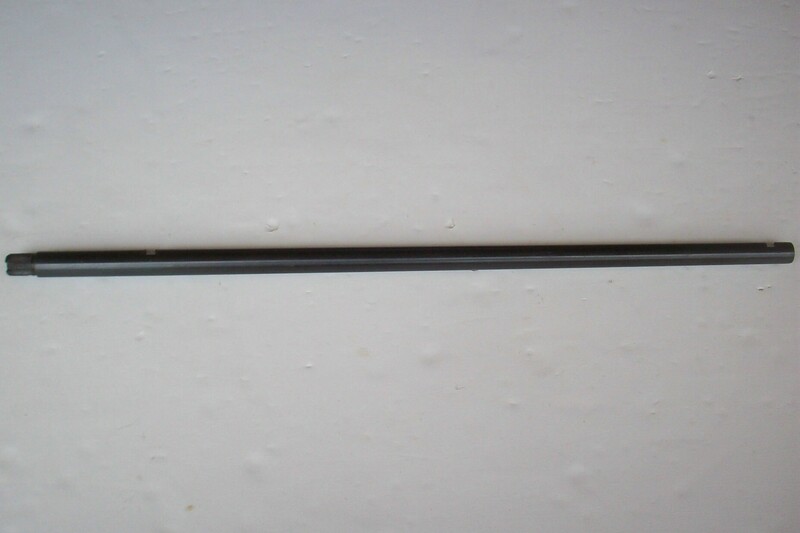 This Winchester manufactured barreled receiver consists of the late variation receiver without the p.. These Remington manufactured stripped 30" long Decarbonized steel barrels are for the model 1889 ham.. These Remington manufactured stripped 32" long Damascus steel barrels are for the model 1889 hammer .. 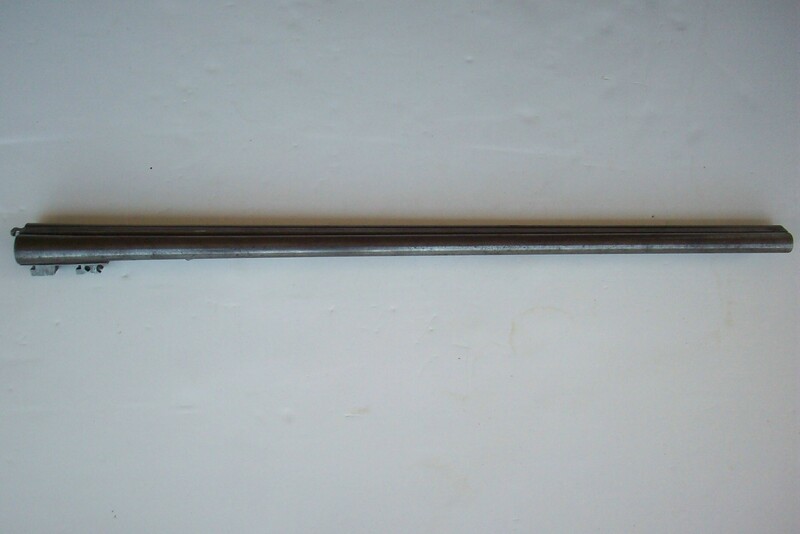 These Remington manufactured stripped 28" long (shortened from 30" length) Decarbonized steel standa.. These Remington manufactured stripped 30" long Damascus steel barrels are for the model 1889 hammer .. These Remington manufactured stripped 30" long light weight Decarbonized steel barrels are for the m.. These Remington manufactured stripped 30" long fine twist steel light weight barrels are for the mod.. These Remington manufactured stripped 30" long standard weight Decarbonized steel barrels are for th..